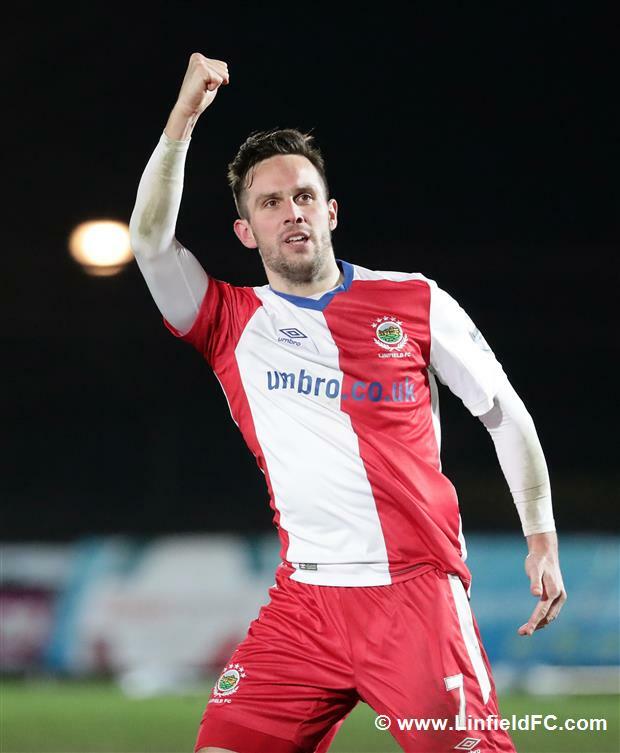 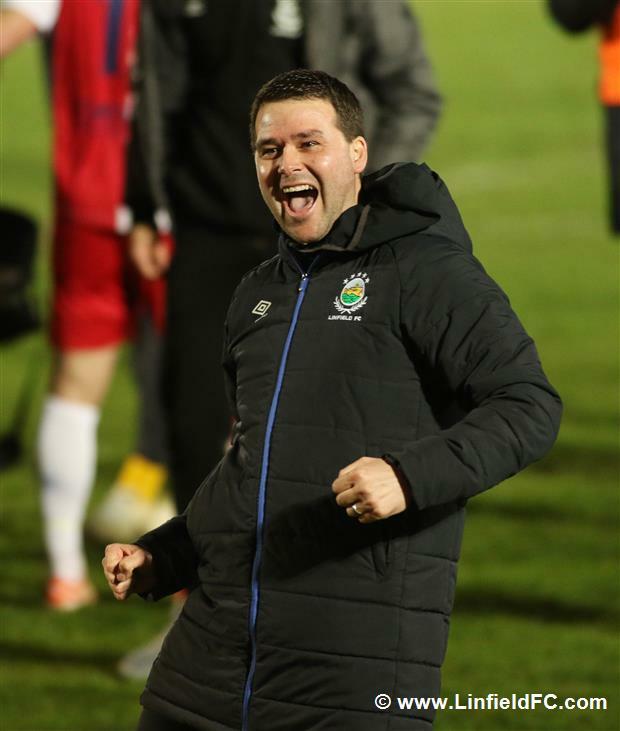 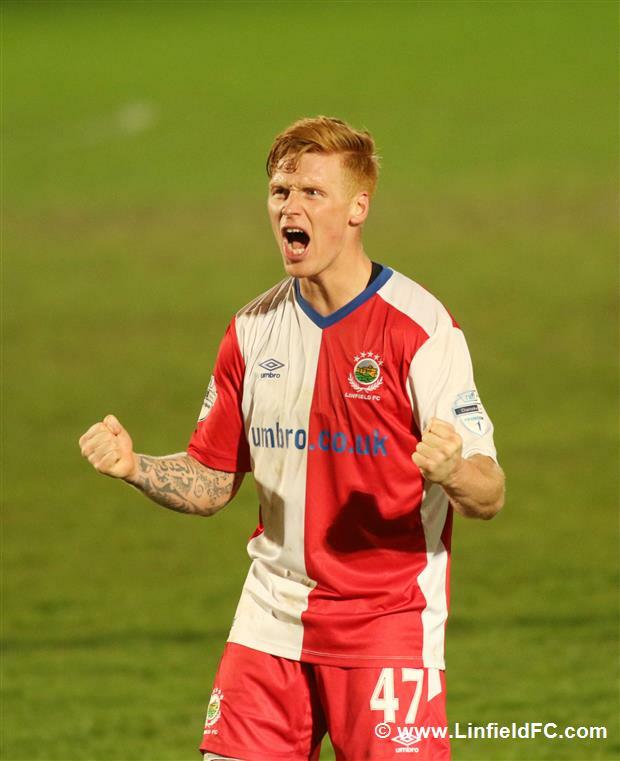 Linfield took a significant step in their battle to bring the Gibson Cup back to Windsor Park as Andy Waterworth delivered on the big occasion yet again. 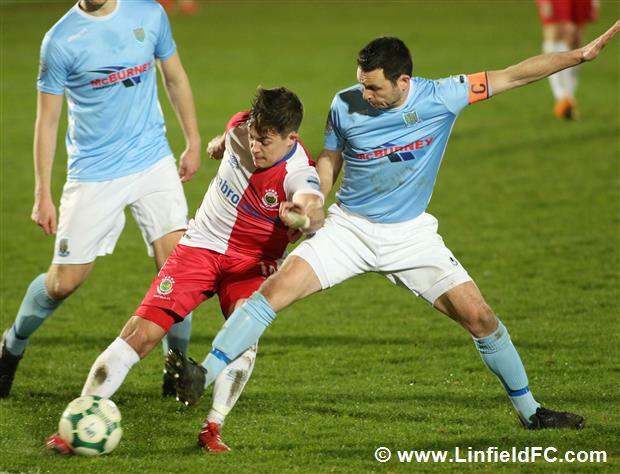 Waterworth’s goal early in the second half at the Ballymena Showgrounds sent David Healy’s men twelve points clear at the top of the Danske Bank Premiership with just four matches to go and with a superior goal difference to Ballymena, Linfield know that a point against Crusaders next week would be enough to clinch the title. 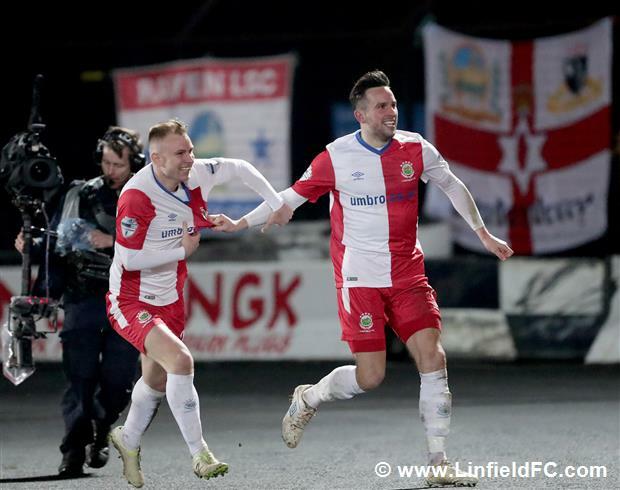 The game itself was scrappy at times due to a tricky playing surface, but that didn’t bother the travelling Linfield support who filled the away end and produced a fantastic environment for their players to play in with their vocal support. 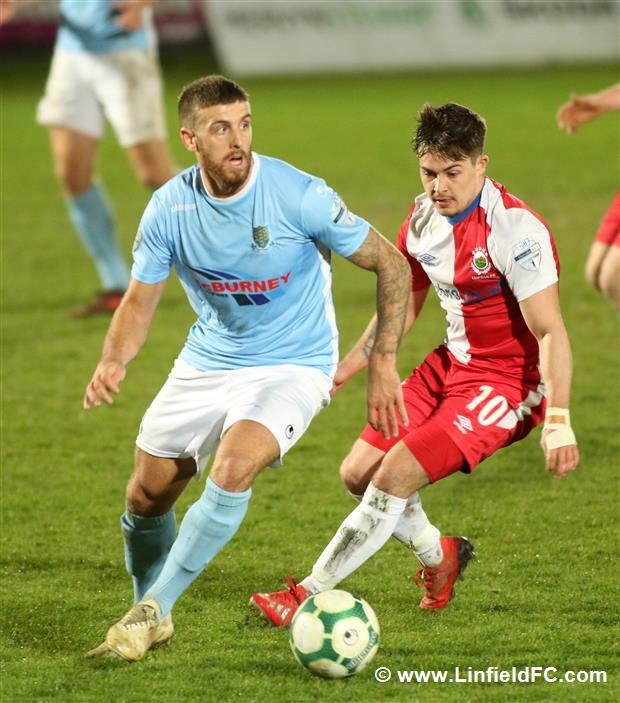 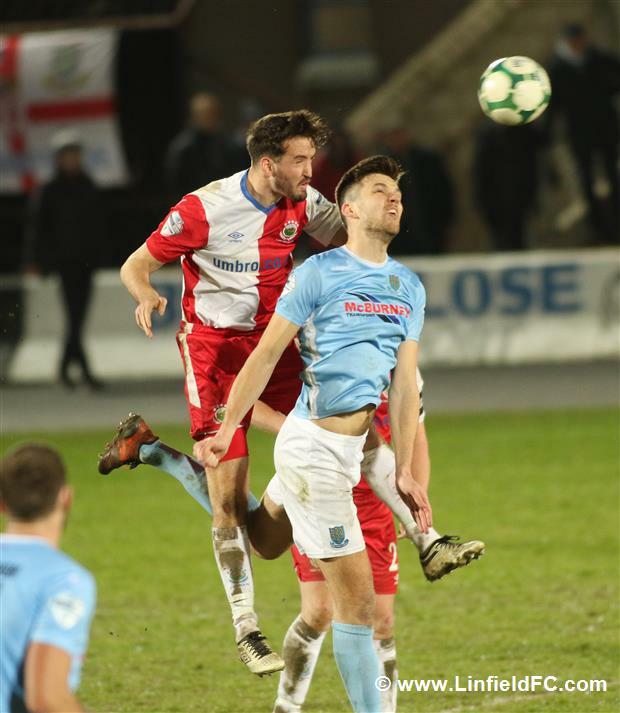 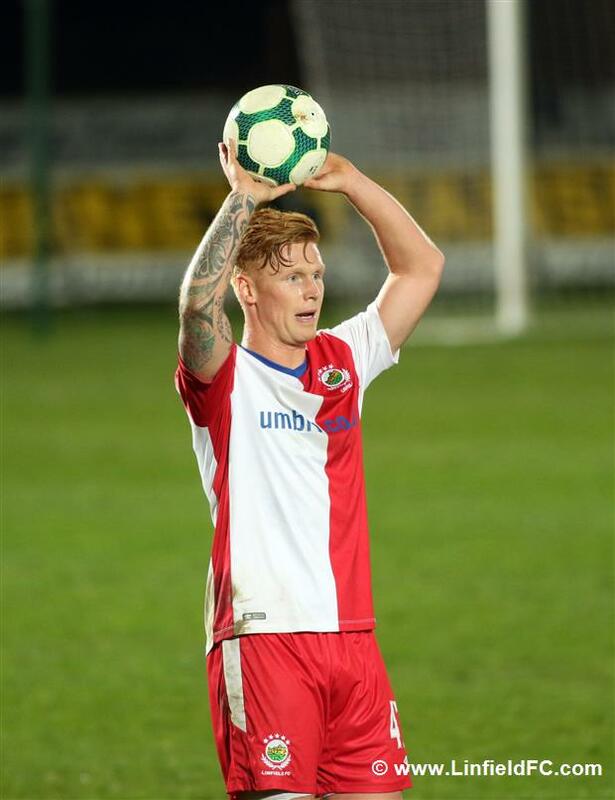 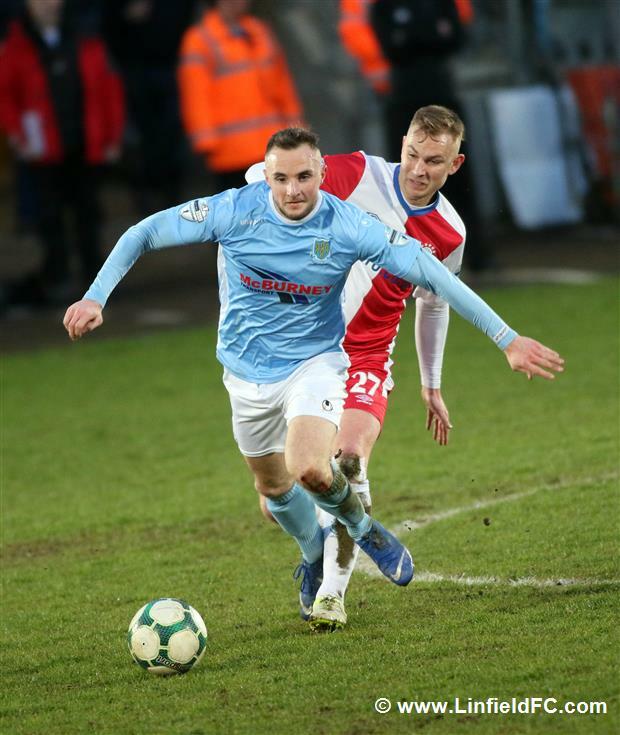 Ballymena United went within a whisker of taking the lead in the first half when big striker Adam Lecky left the crossbar shaking with a thunderous volley from close range. 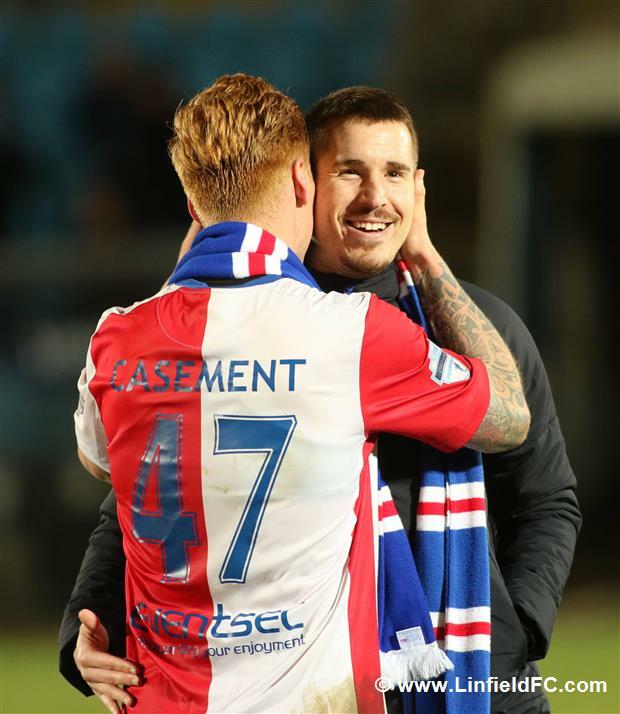 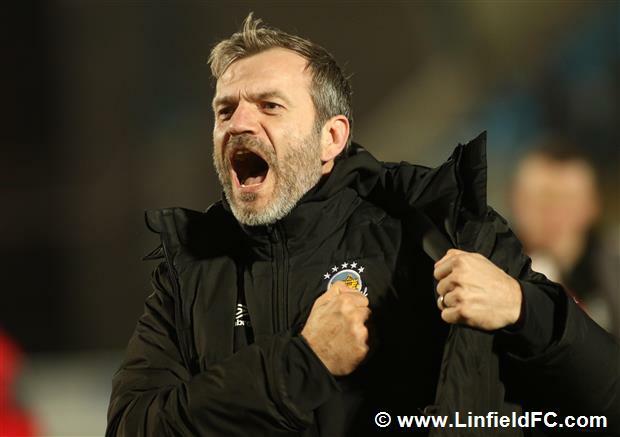 Perhaps it was a slice of fortune for Linfield, but what wasn’t lucky was a simply superb save from Gareth Deane to touch Kofi Balmer’s follow-up shot around the post. 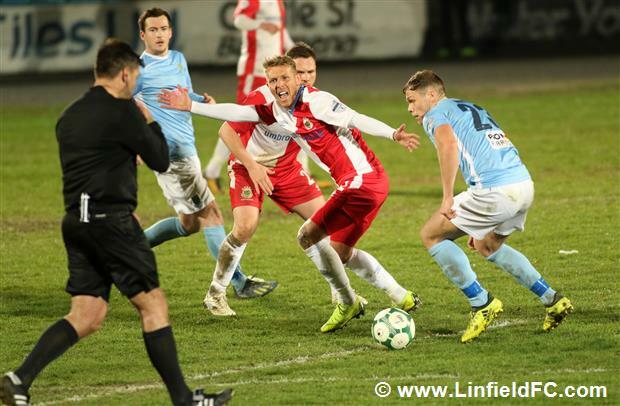 Linfield goalkeeper Deane was outstanding on the night. 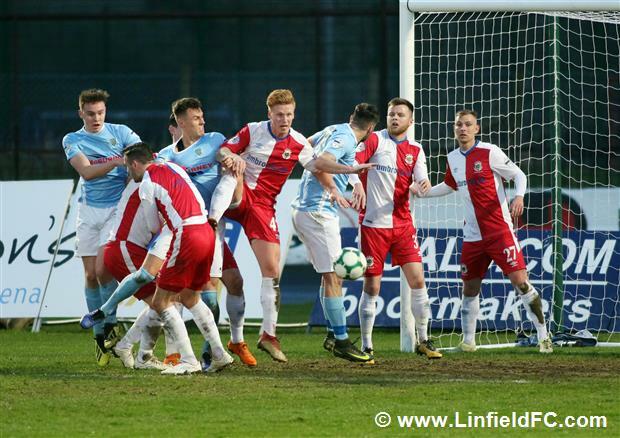 Many rightly saluted him for his save and his reputation was further enhanced a short time layer when he made another splendid save, this time from an Andy McGrory free-kick which was heading right for the top corner. 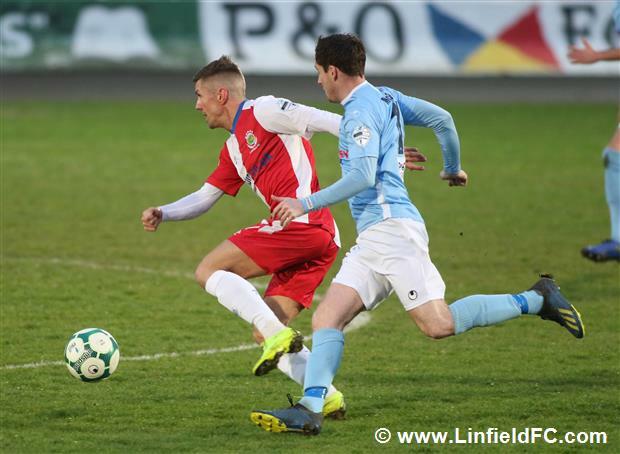 Jimmy Callacher then tested Ross Glendinning with a header but the goalkeeper held on well. 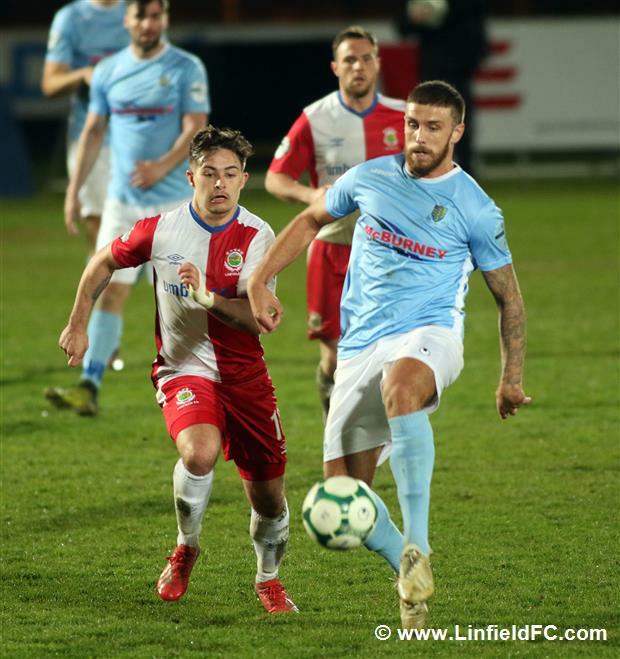 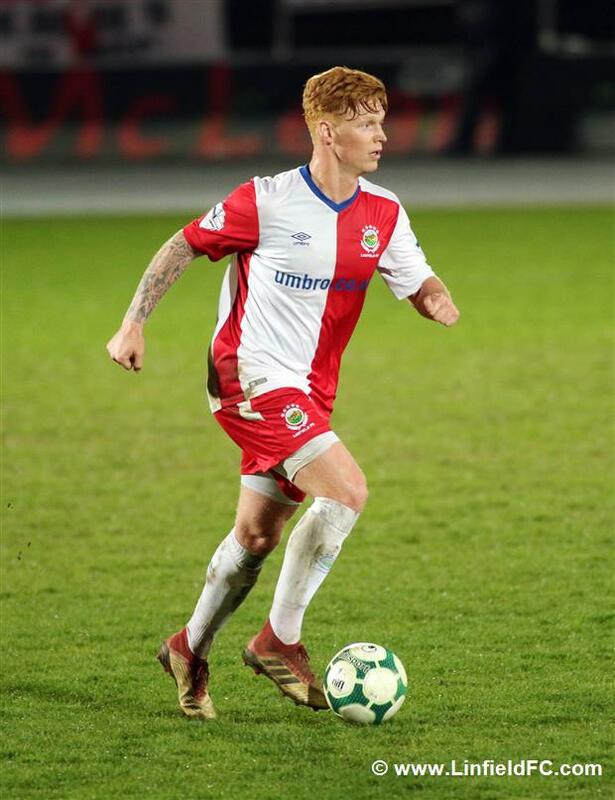 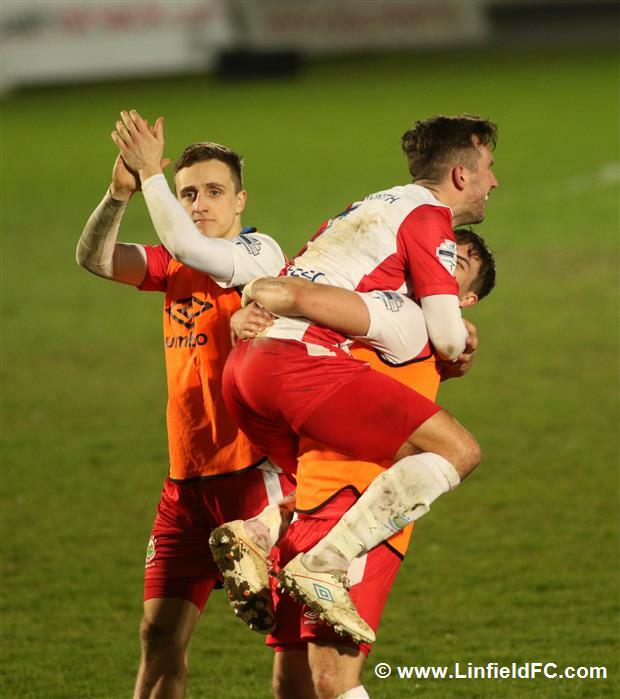 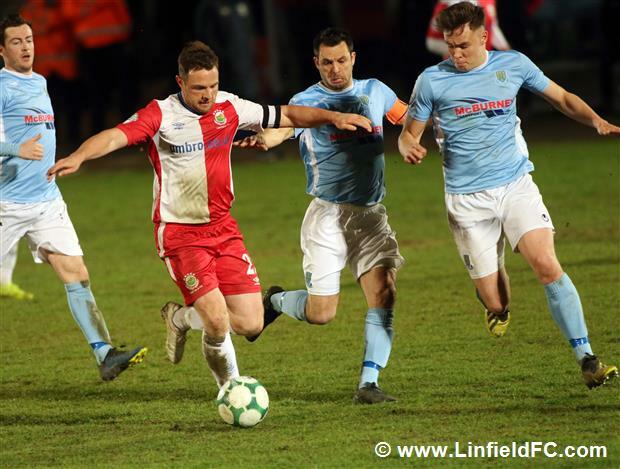 An intense period of pressure from Linfield followed in the closing stages of the first half and Chris Casement went close when his effort was beaten away at the near post. 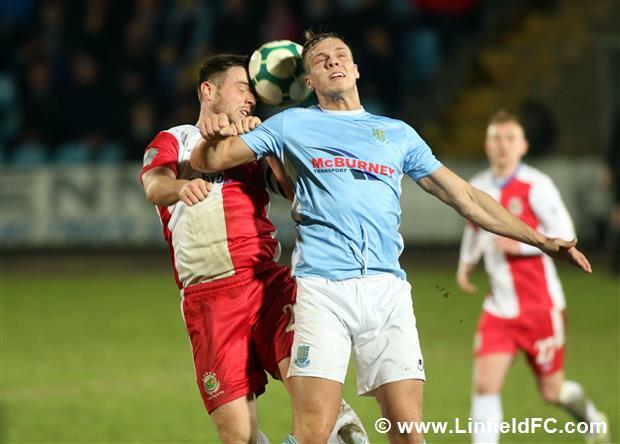 Ballymena ultimately scrambled away Daniel Kearns’ ball across the face of goal to get through to half time unscathed. 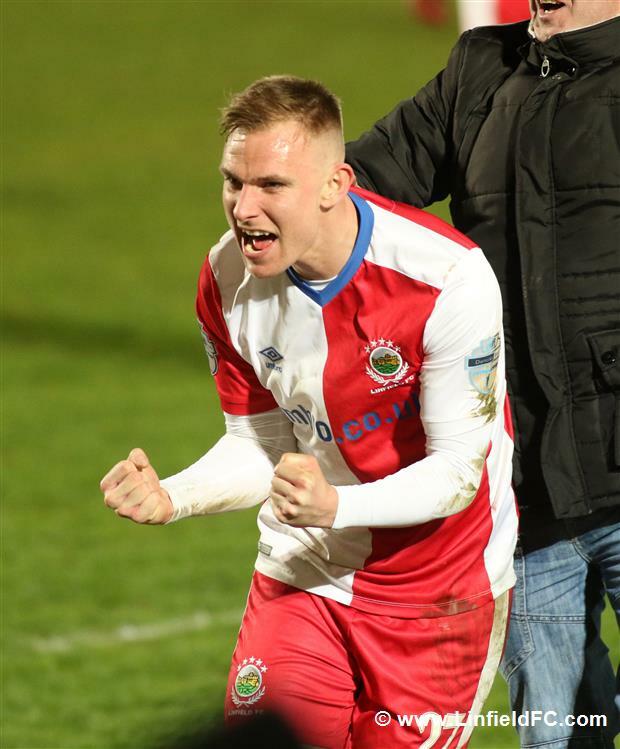 What proved to be the winning goal arrived minutes after half time. 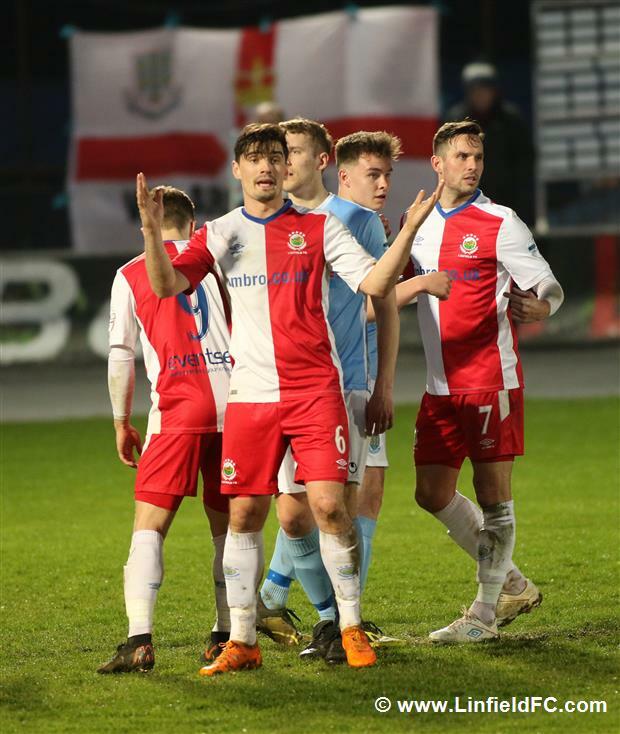 Joel Cooper showed real quality to cut inside and lose his man before sliding a ball into Waterworth who turned a fired clinically into the net with an expert left footed strike across the despairing goalkeeper and into the far corner. 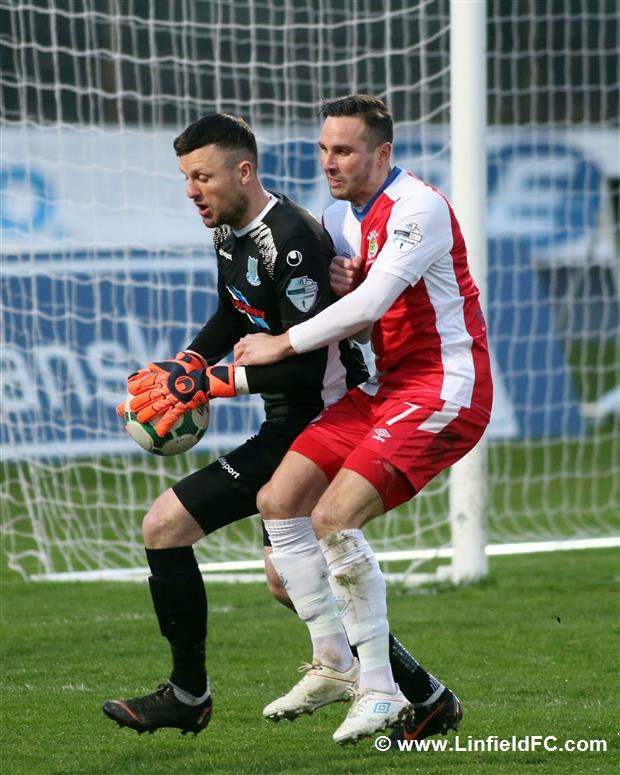 Man of the match Gareth Deane made another crucial save with the score at 1-0 when Adam Lecky slipped in Andy McGrory and Deane got down quickly to make a good save. 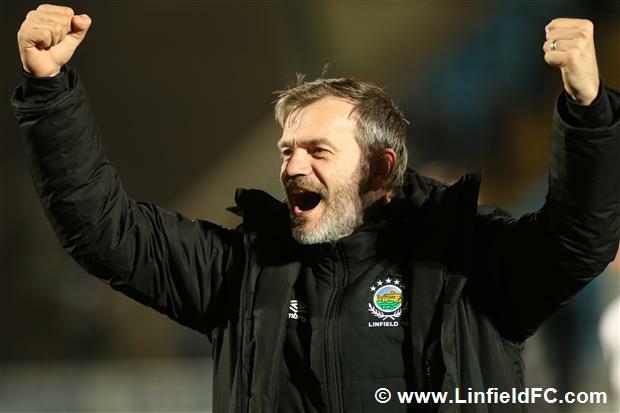 Neither side created much and Linfield looked in control for much for the second half. 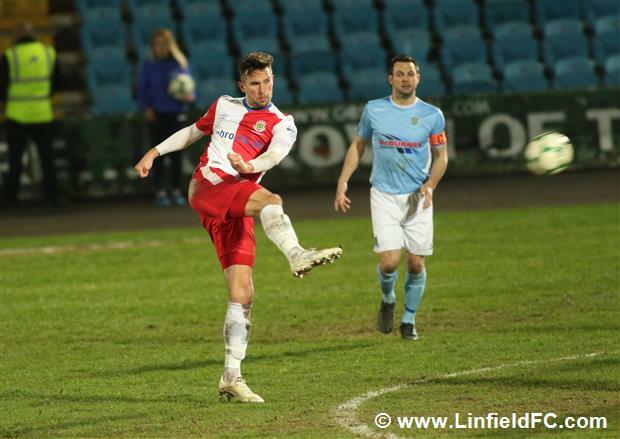 Jimmy Callacher scoring goals is a fairly regular sight this season and when he surged up the field it looked for a moment that he’d done it again with a driven shot from outside the box but Ross Glendinning made a good save to push it wide. 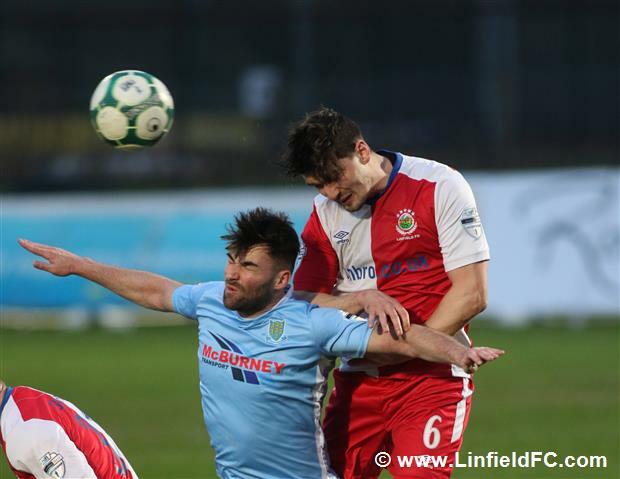 Waterworth almost gave Linfield comfort when he displayed great centre forward play to hold the ball, turn and shoot but his low effort from the edge of the box was well held again by Glendinning.